Member S2000 Classifieds and For Sale Items for sale by Members. PAID MEMBERSHIP REQUIRED to post classified ads with a paid membership. Do the ap2 headlight ballasts come in a pair? Can you ship the trunk lid to arizona? Bro, I appreciate you..... I thought I had an issue buying parts... What a selection!! 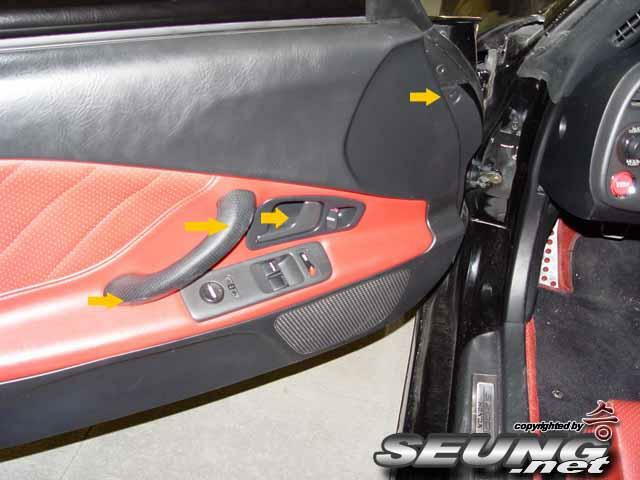 Kind of random, but I'm looking for the door panel clip indicated by the top right arrow in the picture below. if you have the center console tunnel carpet I am interested! Is it $40 for one set of 4 ABS sensors or $40 for one single? I would be interested in a set of 4.
each one. if you need all 4 PM me we can work out a deal.